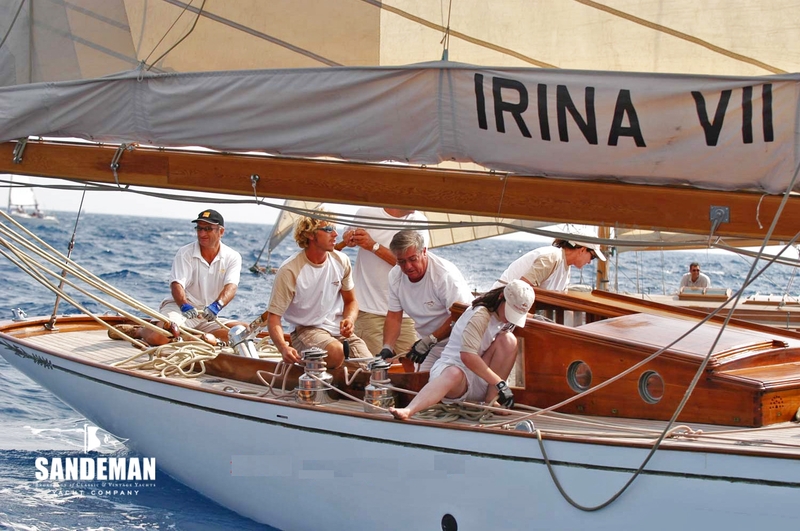 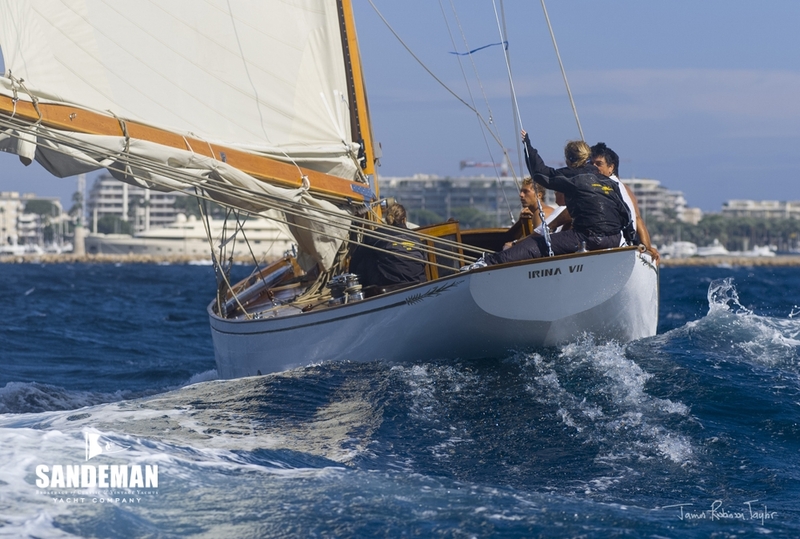 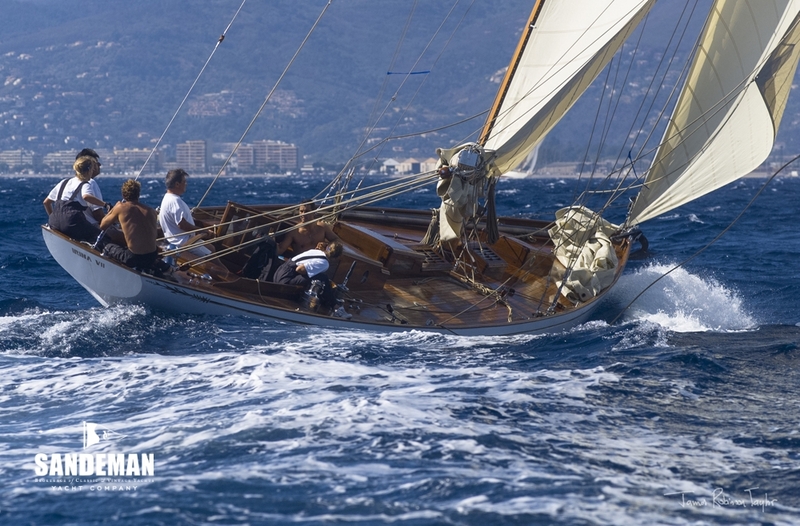 IRINA VII was launched in 1935 under the name SONAS – meaning happiness in Gaelic for her first owner Major J.G. 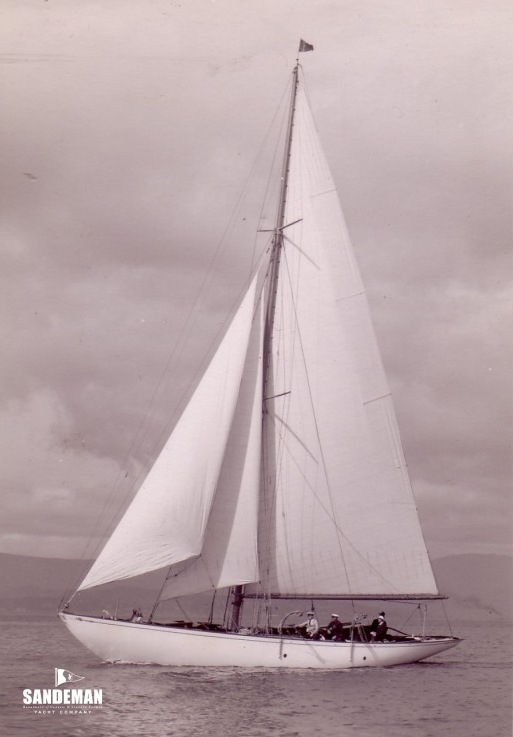 Allan DSO of Helensburgh to Alfred Mylne’s design No 366 and was build number 811 at the Fairlie yard of William Fife & Son. 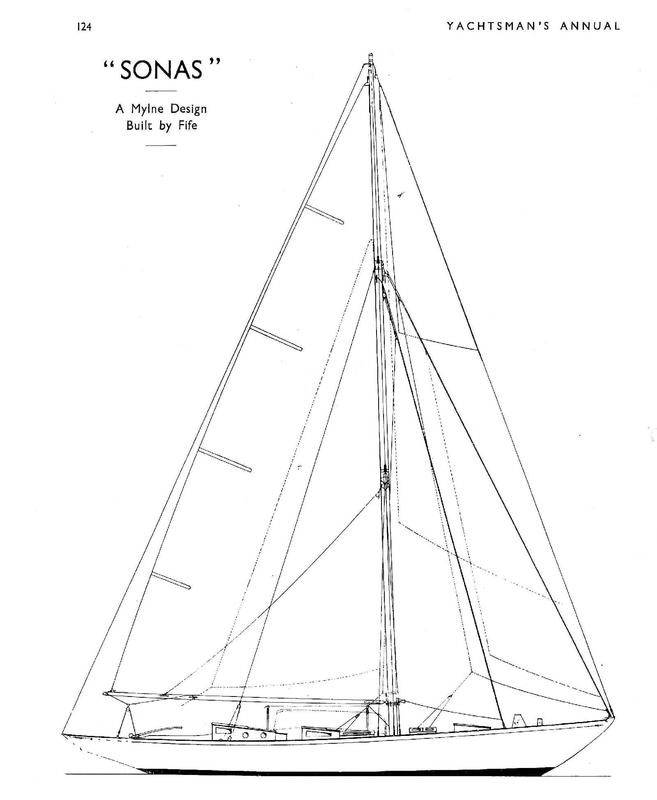 By 1947 SONAS was in the ownership of James C Guthrie and then sold 5 years later to Norwegian George Von Erpecom of the Bergen Yacht Club, who changed her name to IRINA VII. 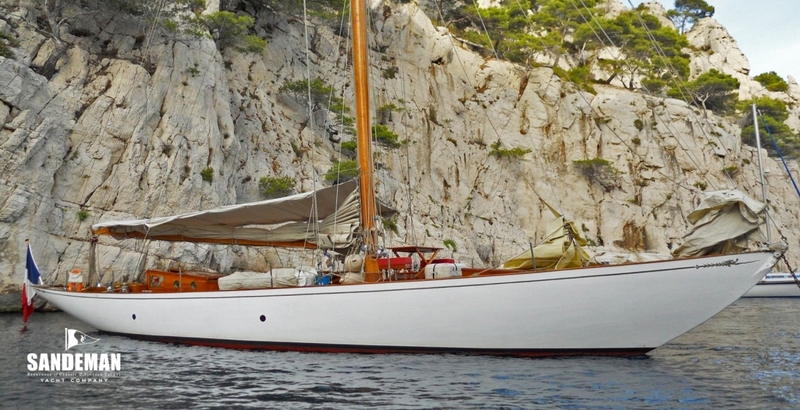 He by the way had previously owned six other yachts he’d named IRINA. 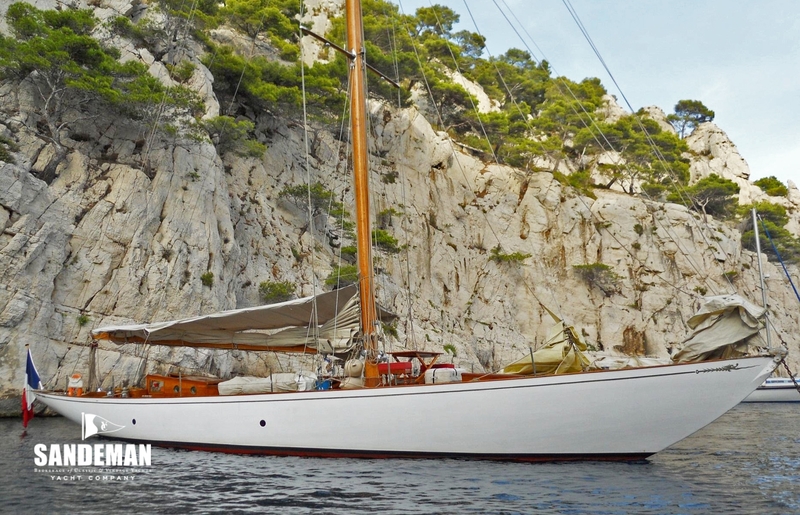 In the 60s, IRINA VII was entrusted to new owner Finn Engelsen. 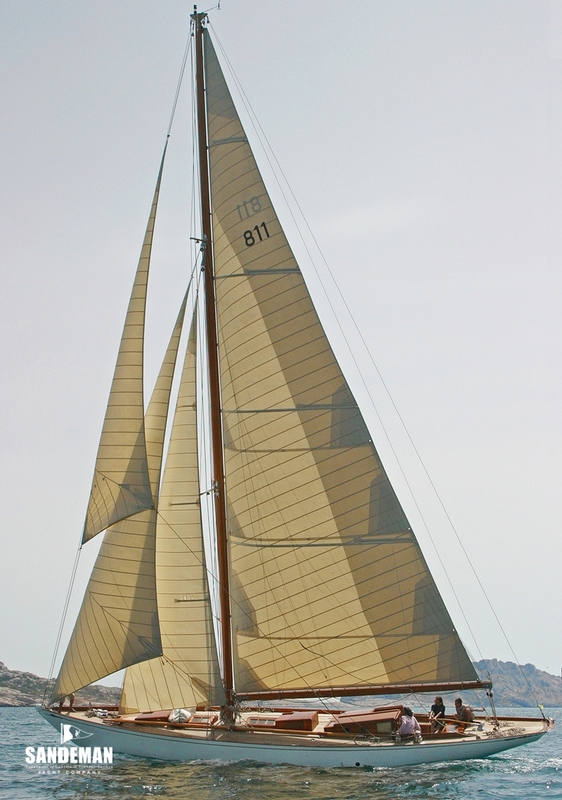 From 1965 to 1985 IRINA VII was based in Devon and became effectively a founder member yacht of Island Cruising Club Salcombe. 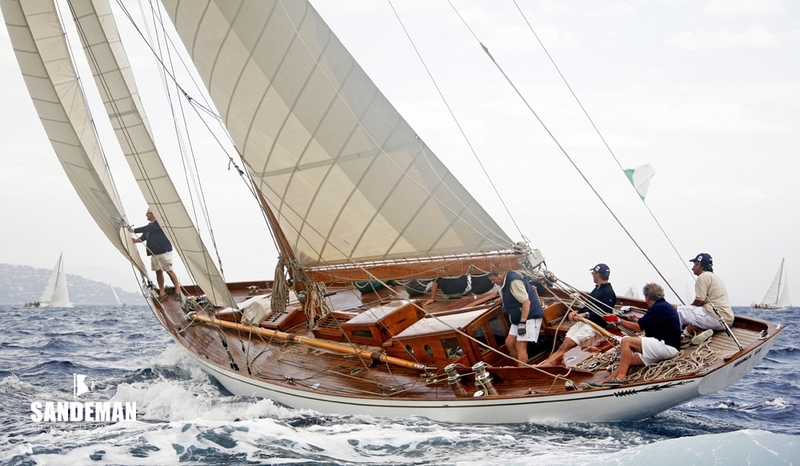 In 1985, she was bought by Mr and Mrs Potts who undertook major maintenance work and changed the rig and some fittings. 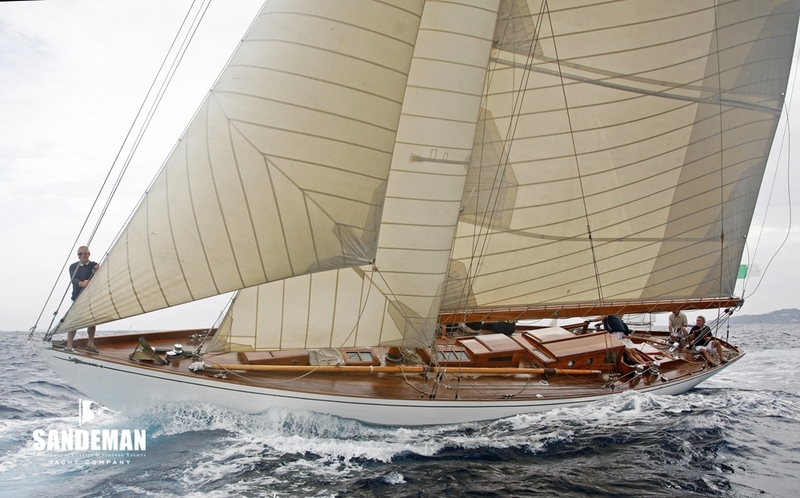 In 2002, IRINA VII was bought by her current owner a Frenchman to be renovated at the Amebois shipyard in Toulouse. 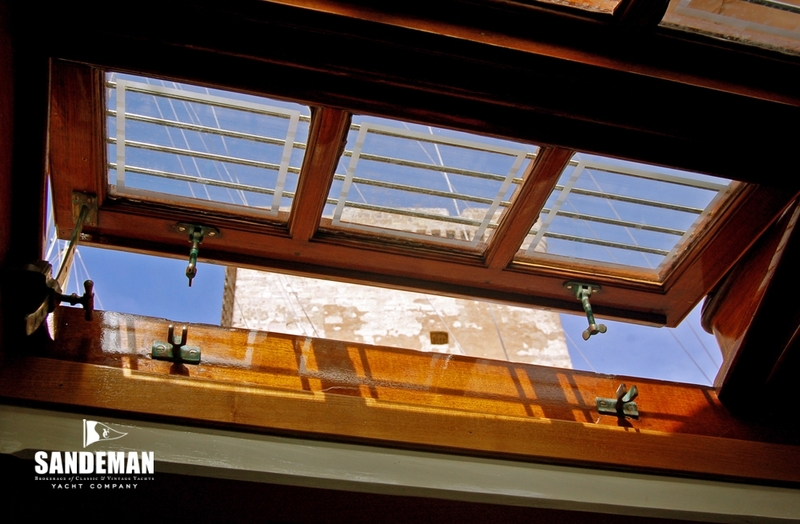 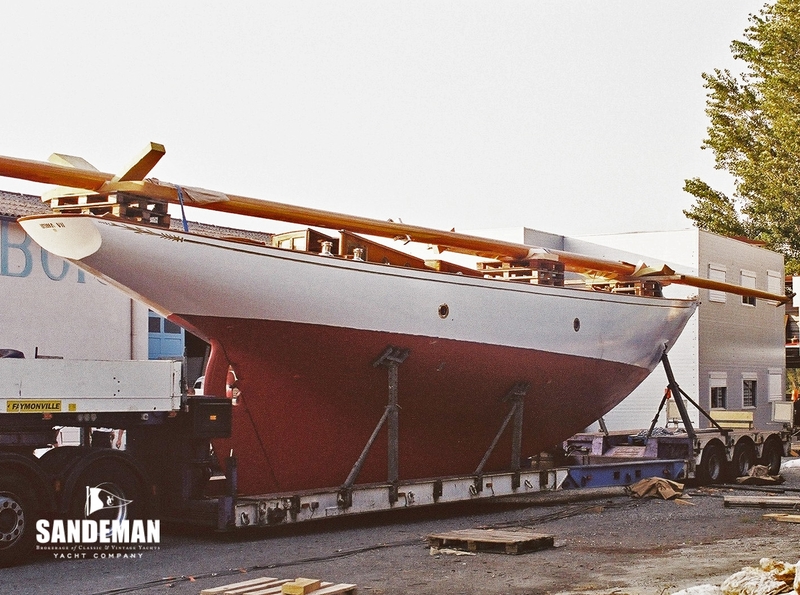 The restoration was substantial and took more than 16,000 hours. 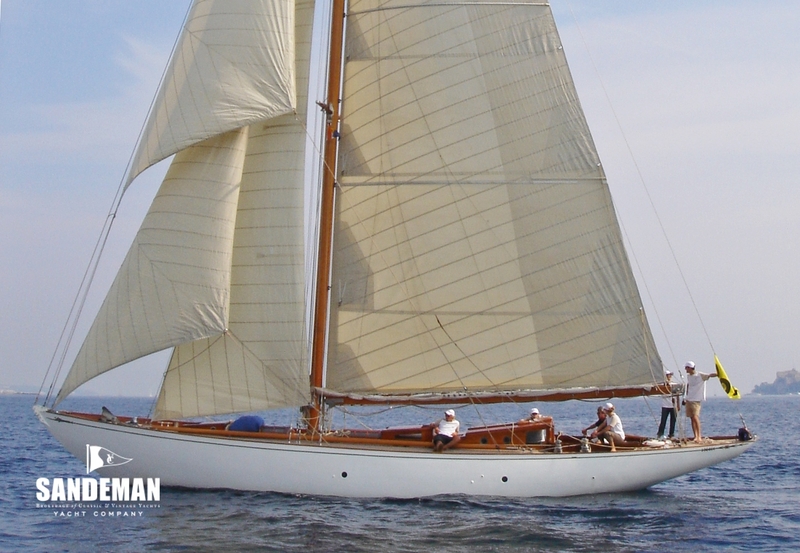 She is now restored also to her original Marconi cutter rig and the interior according pretty well to the original 1934 arrangement. 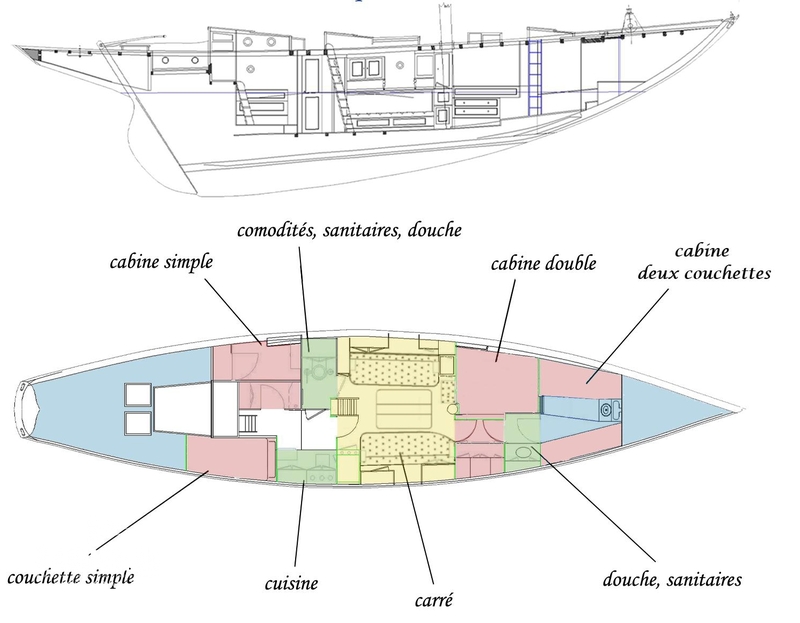 IRINA VII can accommodate 6 people; 2 singles and 1 double in 3 cabins with 2 shower / head compartments. 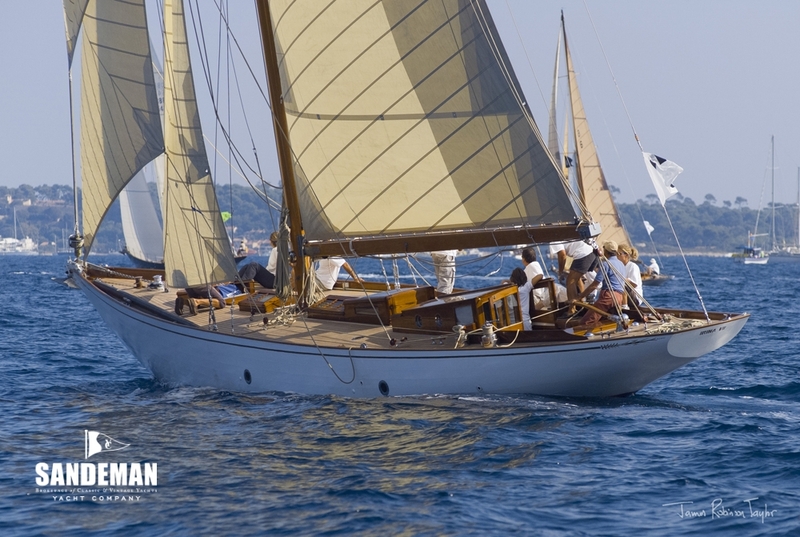 The interior broadly conforms with the 1934 layout and in varnished mahogany with oak cabin sole and white painted deck head maintaining the period character of the yacht. 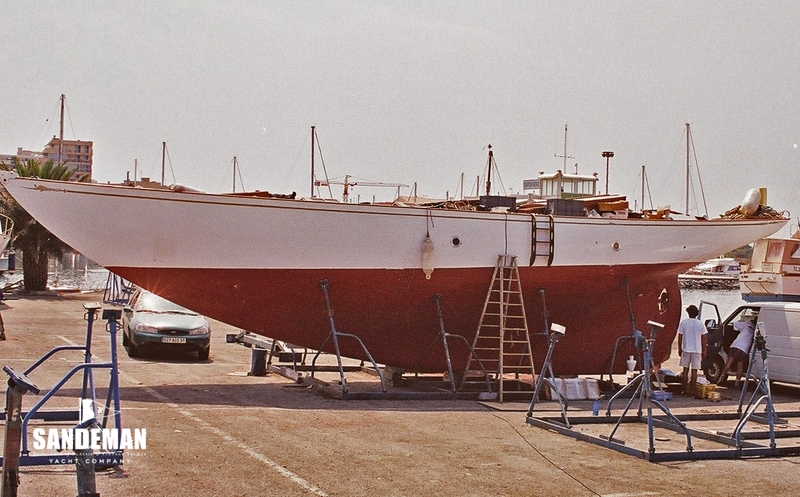 A major refit took place during the years 2002 and 2003 in which the Vessel was virtually completely rebuilt. 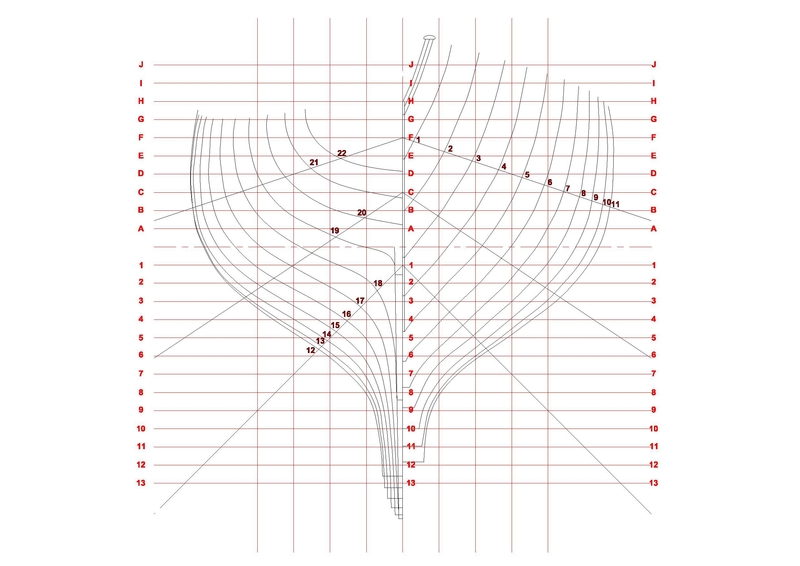 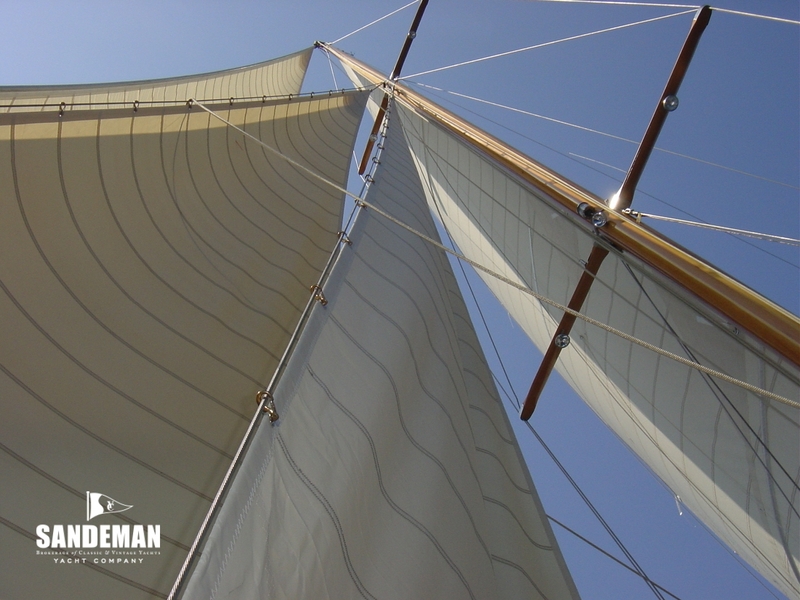 She was also reconverted from ketch rig to her original cutter rig.